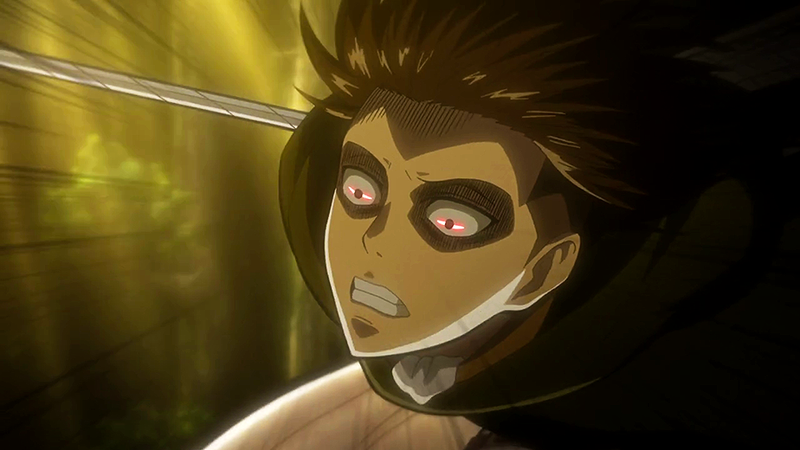 Levi – considered to be the best solider of the Survey Corp. This battle was short and featured in the beginning of the episode. The Female Titan attacks Levi, he quickly slices up her arm and stabs her in the eyes. He then continues to slice up the titan. Levi single handely subdues the female titan, and manages to save Eren. Leaving the female titan defeated and in tears. Gurren Lagann – the main mecha of the series. 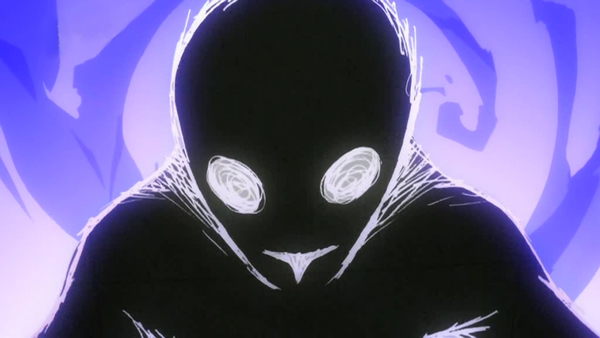 Anti – Spirals – the main antagonist of Tengen Toppa Gurren Lagann. The Battle between the Gurren Lagann and Anti-Spiral is rather long. 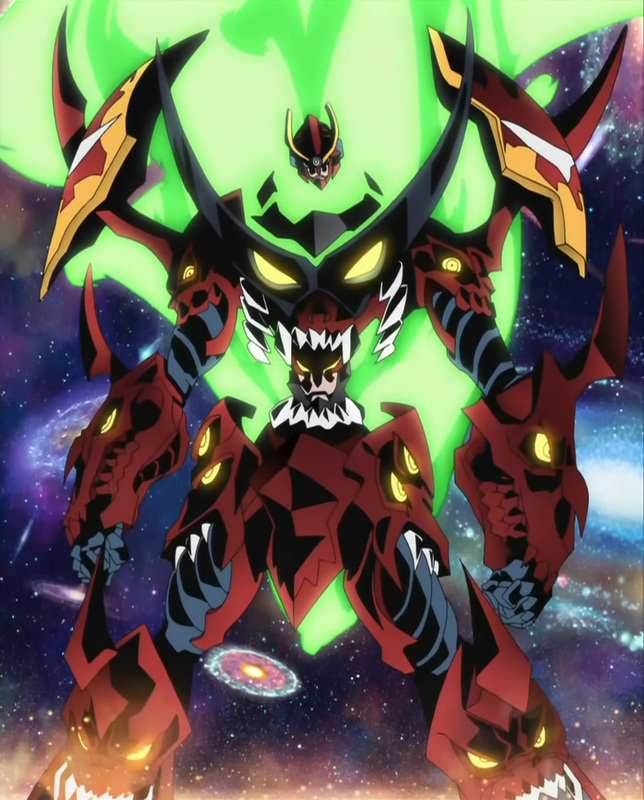 It features many transformations of Gurren Lagann as the mecha increases in size. The battle also has a great deal of symbolism, centered on human ascension. The Anti-Spirals hate the human race, and attempt to exterminate humans. 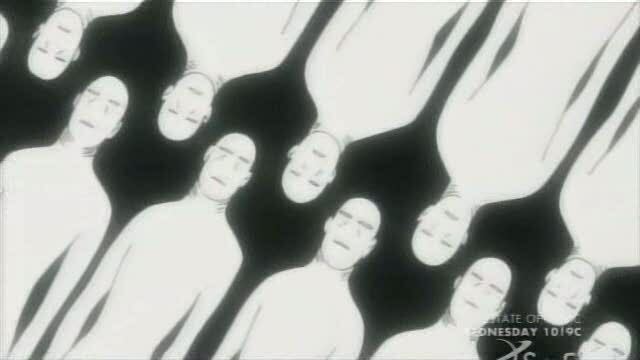 The Anti- Spirals are beings that have abandoned spiral power, and stunted their own evolution. They are a collective unconscious that are attempting to avert a ” hypothetical event” called the ” Spiral Nemesis”. Gurren grows in its size at its final form, “Super Tengen Toppa Gurren Lagann” reaches 52.8 billion light years in height. I feel it’s better to simply watch the battle than read my description of. Hope you enjoy watching it as I had. Jiraiya – Naruto’s sensei, one of the Legendary Sannin. 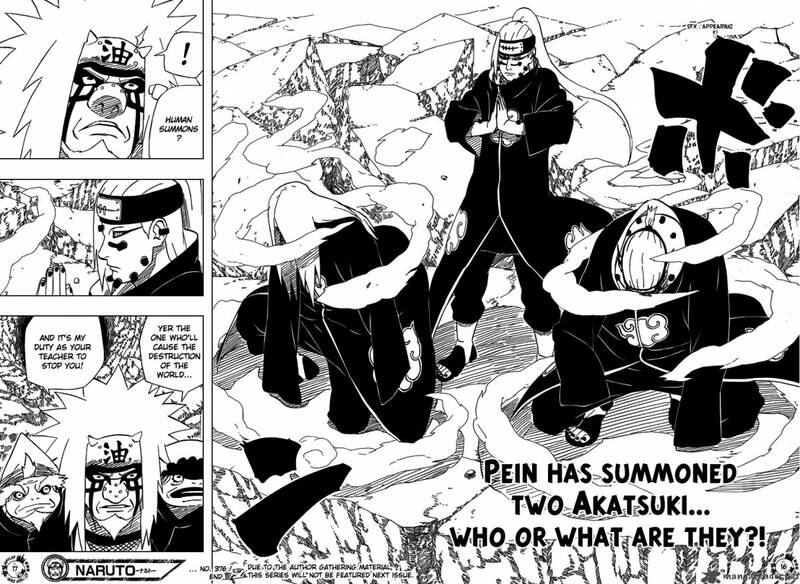 Pain – one of the former members of the Akatsuki. Jiraiya attempts to invade the hidden village of rain without detection. However, he fails and finds that the intruder is Jiraiya. Pain is mysterious character, who he is and what his powers are unknown. Pain changes bodies to feature a longer haired body. Pain summons a crab like creature that uses a bubble, Jiraiya uses a ” Raging Lion’s Mane Technique” and tangles the crab in his hair. The summon disappears and Jiraiya then uses his hair on Pain, who uses substitution jutsu. Jiraiya summons a toad as Pain summons a chameleon. 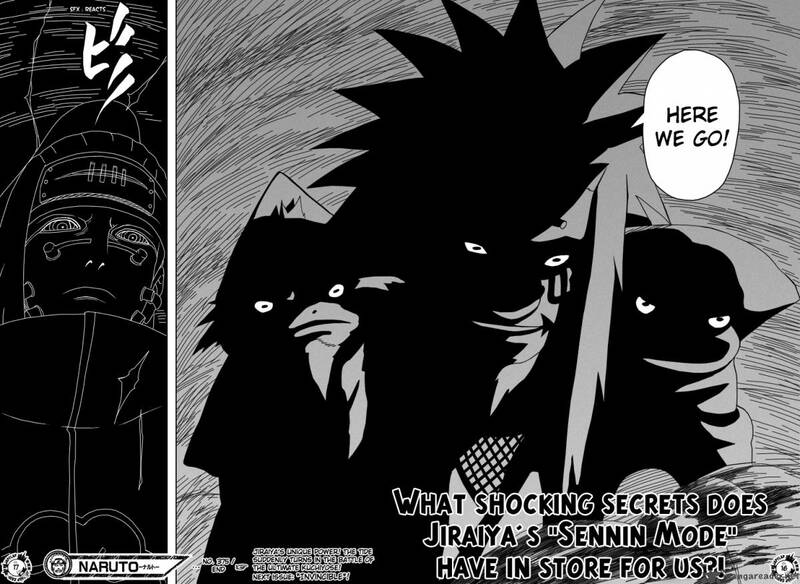 Jiraiya decides he’s “I’m going into sennin mode”, Pain hides in the mouth of the chameleon which turns invisible. Jiraiya counters with a barrier detection jutsu, Pain response by summoning a Cerberus like animal. Pain continues to use animal summons to conceal his location. Jiraiya wonders why he hasn’t use a technique other than summons. Jiraiya releases his summon and emerges transformed with two toads on his shoulders. The female toad uses her tongue to sniff out the chameleon, and uses acid to kill it. 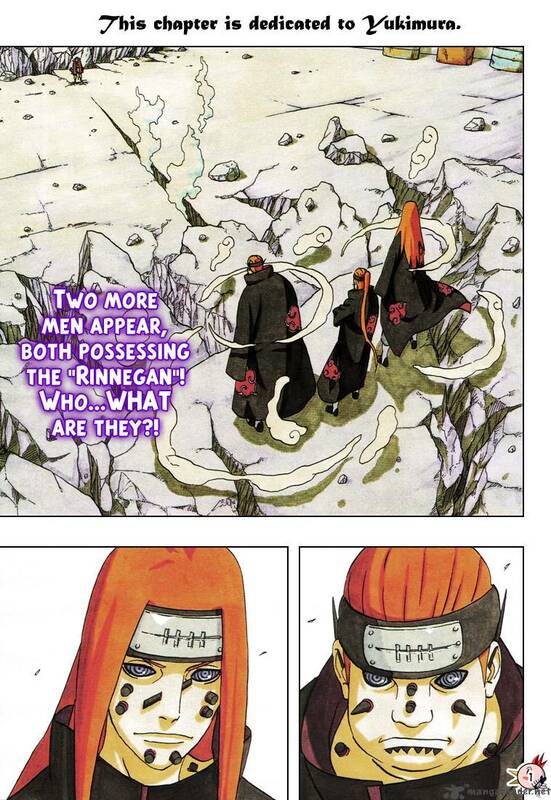 Pain summons two other humans to the battlefield, each with their own set of Rinnegan eyes. Confused Jiraiya aims to discover the secret to Pains power. One of the Pains attacks Jiraiya and he uses his Frog Karate to counter. He then uses his “Hermit Art: Deep Fryer”, but another Pain absorbs this jutsu. Jiraiya decides to try close combat, he attacks with a massive Rasengan. The Rasengan is also absorbed, a smoke bomb is used to give cover and Jiraiya attempts to attack Pain from behind. He fails to land a direct hit, he uses a frog summon as an distraction and uses his “Hermit Art: Hair Needle Barrage”. It’s his fast attack and Pain still manages to counter it, with a summon. Jiraiya realizes somethings up and retreats to come up with a plan. Jiraiya concludes that the eyes of the Pains are linked. He and the frogs determine they need to use genjutsu. 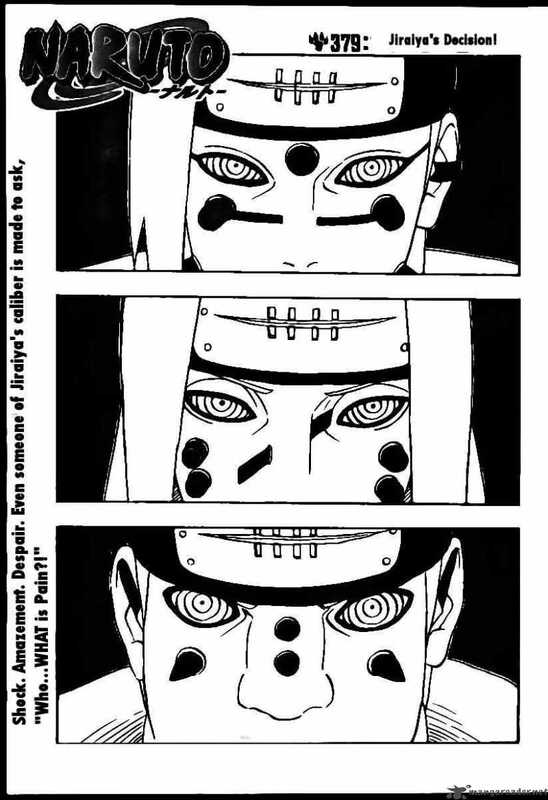 The genjutsu has it’s effect and Jiraiya kills the three Pains. However, another Pain shows you, he attacks Jiraiya ripping of his arm. Confused again as all the previously dead Pain are alive. 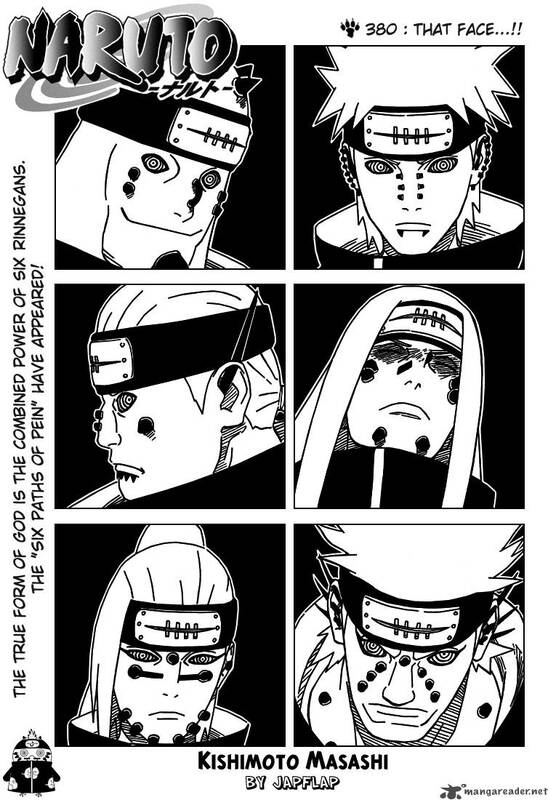 He now has six adversaries to contend with, “The six paths of Pain”. Jiraiya kills one of the Pains and manage to seek refuge inside another toad. Instead of escaping he decides to confront Pain one last time. He realizes that all the Pains are shinobi he’s fought before. 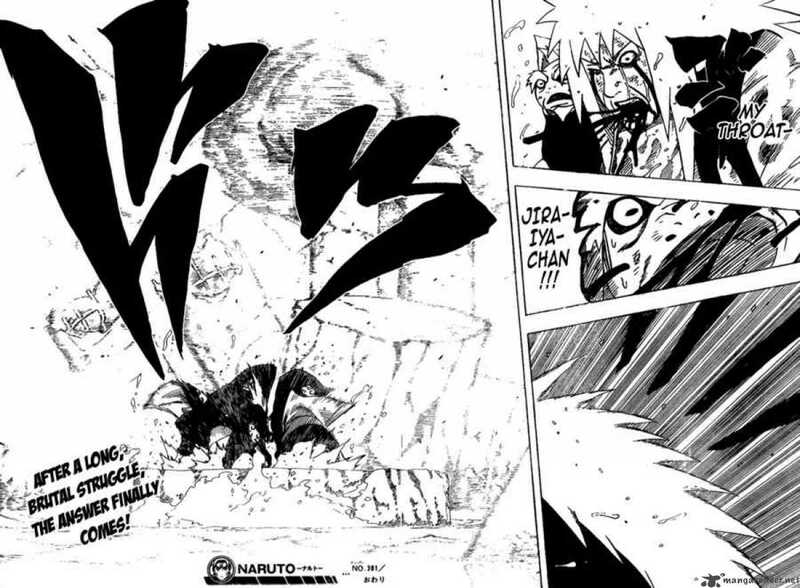 At this point Pain crushes Jiraiya’s throat and all six Pains stabs him. Jiraiya uses his last moments leave a message on the back of one of the toads before he drowns. Gohan – Goku’s son, and one of the main protagonist of the DBZ series. Cell – is one of the major villains in the DBZ series. 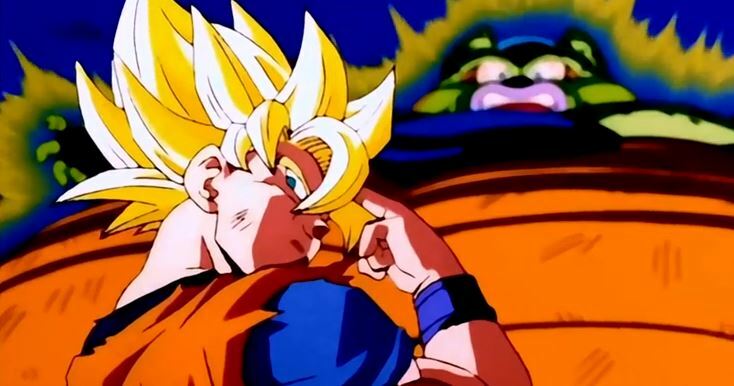 Goku tells Cell that his son Gohan is a better match for him, at first everyone is skeptical. Gohan powers up stunning everyone with his power level. However, his inexperience and fear of his power leaves him at Cell’s mercy. Cell decides to push Gohan to the limit by hurting his friends with Cell Jr’s.The brutalizing of Gohan’s friends doesn’t push Gohan to his limit, but Android 16 gives Gohan a speech about the meaning of life. 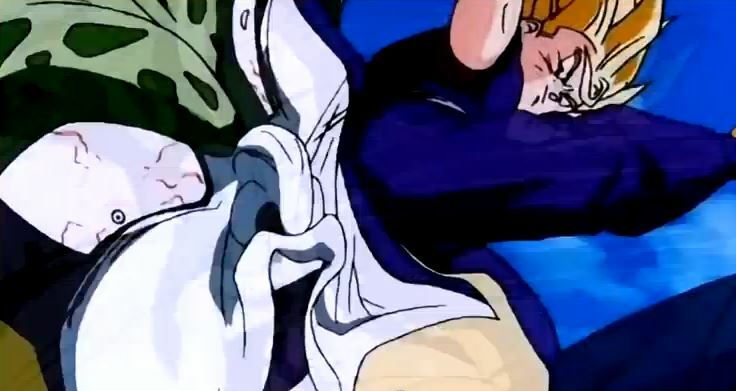 When Cell crushes Android 16’s head killing him Gohan finally snaps, unleashing his hidden powers. 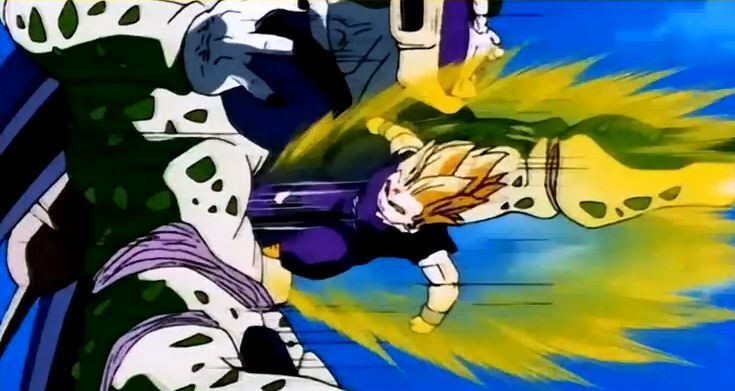 After this power boost Gohan strength and speed increases tremendously, he quickly destroy’s the Cell Jr’s. Cell and Gohan begin their fight and it appears that Gohan isn’t even trying, he becomes rather cocky. Cell powers up one more time but it doesn’t matter, Gohan is still stronger. He delivers two devastating punches on Cell, knock him to his knees. 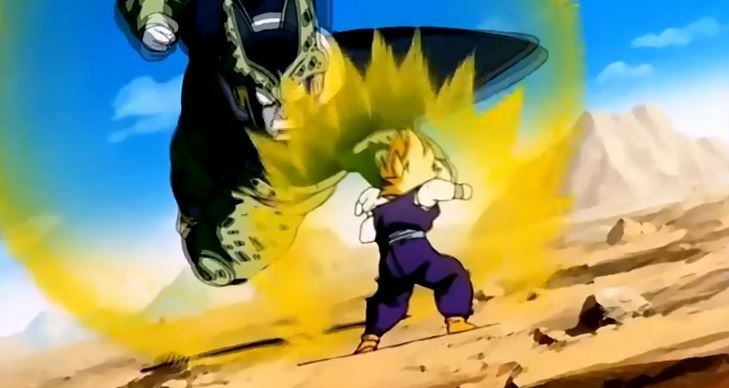 Cell becomes enraged at being dominated by a child, Cell uses a series of the Z fighters attacks. He concludes with a massive Kamehameha aim at destroying the earth, Gohan simply reflects it with his own. Cell is damaged by Gohan’s Kamehameha, but Cell heals himself. Cell increases his size and loses his speed in the process. Gohan continues to damage Cell, resulting in him regurgitating Android 18 and transform back. Cell having lost his power becomes afraid of Gohan and decides to self destruct, Goku uses his instant transition to transport Cell and save the earth. Cell explodes killing Goku, he returns however shooting Trunks through the chest. 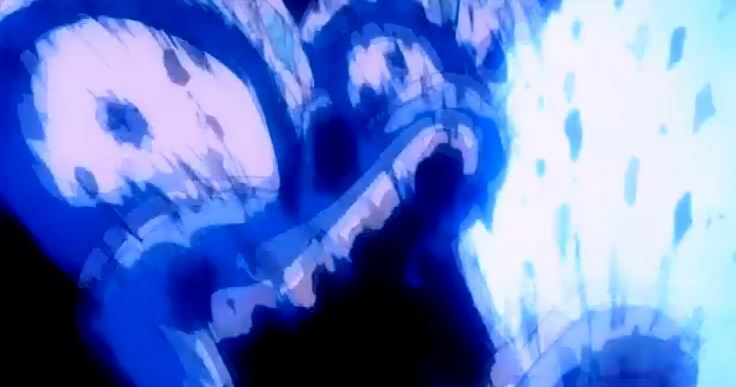 Vegeta becomes enraged at what Cell did to Trunks, attacking him. Cell is unharmed and try’s to kill Vegeta, who is saved by Gohan. Cell aims to end this fight with a clash of Kamehameha with Gohan. Gohan struggles to get the lead in the conflict, the remaining Z fighters try to help but are useless. However, Vegeta proves to be powerful enough to at least distracting Cell. Gohan takes advantage with one final push, destroying Cell and saving the Earth. White Beard Pirates – the large pirate crew the was ruled under Captain White Beard. Marines – the World Government military force. The White beard Pirates with “43 allied crews”, waged a war against over 100,000 Marines and five Shichibukai. Luffy and several criminals from Impel Down show up to save Ace. Many of White Beards crew and allies are killed and injured. 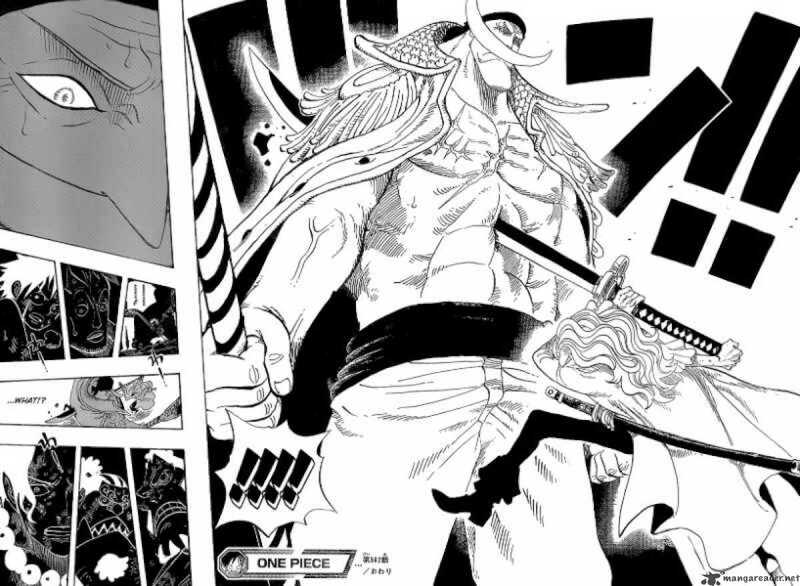 Whitebeard is severely injured and later dies at the hands of Black beard’s crew. 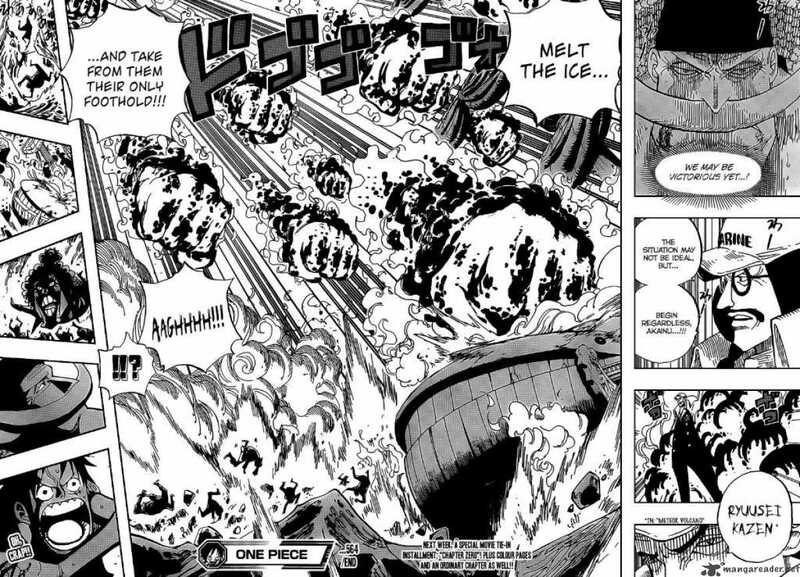 Luffy takes center stage as he makes his way thorough the Marines and manages to save Ace. However, the joy is short lived as Akainu kills Ace and severely damages Luffy, who is devastated mentally. Black beard manages to steal White beard devil fruit ability. The war is ceased by Shanks and his crew. 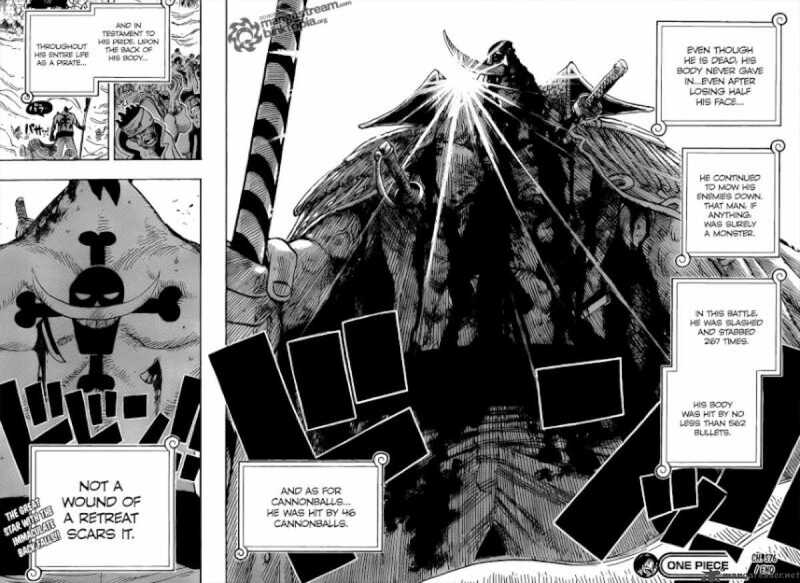 There’s more to this battle but this war represents a major change in the series, the death of White beard, Ace and the theft of the White beards devil fruit. Black beard ascends to level of Youkon, and his crew terrorizes the seas. Nice. Lol I pretty much shot myself in the foot when making my top anime fight countdown because not only did I make an quick AMV for each on to summarize the battle but I made a rule that the last five couldn’t be shonen, which most of the best fights are from. Thank you. I had difficulty determining the rules of my own list. I didn’t know if I should describe the whole battle or just give a preview. However, I liked how it ended up. unless i missed it where Might Guy vs madara ? I haven’t updated the “top 100” since I created it. 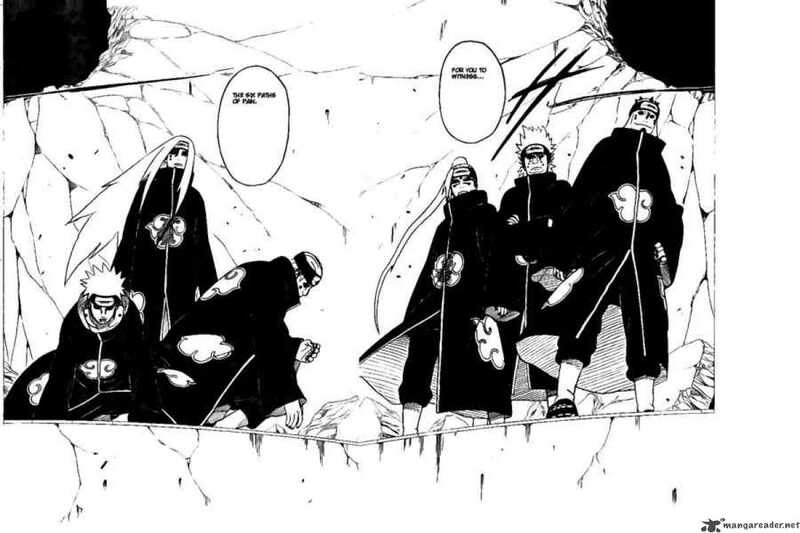 However, Guy vs Madara would be in the top five.